Hybrid cloud backup is today’s hot ticket when it comes to data protection and disaster recovery. Here you maintain a level of disk backup in your shop, but have an additional tier in the cloud. Sounds simple. But to work properly you need the right technology that can keep these two backup systems in total sync. BluPointe solves this problem with Local Speed Vault, a software tool that backs your data to the cloud and your local disk at the same time. The local storage/backup tier can be on an array of devices, including a network share, USB drive, Network Attached Storage (NAS), or a client machine. BluPointe offers further magic when it comes time to restore your data. Since you have two places to restore from, BluPointe will help figure out the best way to restore, be it over the LAN or from the cloud. If speed is of the essence, and the data sets are large, restoring locally is best. If that backup isn’t available due to internal network issues, a disk crash, or disaster, you can get your data back from the cloud. And if your users are remote, say in a satellite office, the cloud is probably the best bet to backup your data online. 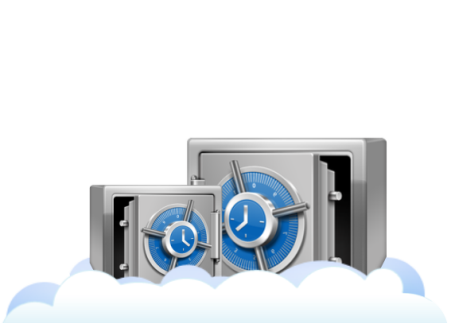 Local Speed Vault can keep backups in sync even if there are connectivity issues. For instance, if the remote backup is unavailable, say the WAN or Internet connection is down, BluPointe will automatically cache your data, and update the remote backup location when the network comes back up, keeping the two backup copies synchronized.